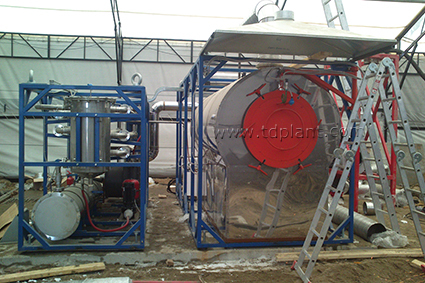 IPEC manufactured and shipped Batch Thermal Decomposition Plant (TDP-1) dedicated to drilling waste management at Termokastrovoe gas condensate field in Yamal-Nenets Autonomous District for OOO Soyuzgastechnology. 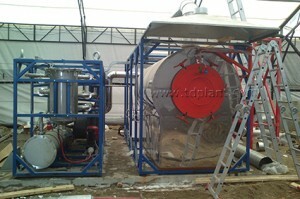 The capacity of the equipment is up to 100 kg per hour. 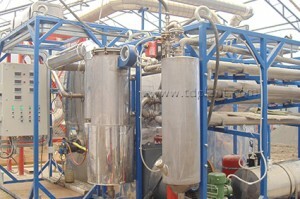 This plant solved drilling waste disposal issue processing the oil sludge, used lubricants and oil, plastic and foil. The heat enegry is recovered and used locally for heating. The fuel gas produced in the process is used internally in plant burners.